Hi all, welcome to another blog from no 1 video production Durban, today lets talk about property videos. GCV Productions films property videos on a DJI Osmo camera, its a walk through video of the property for sale. The DJI Osmo can film as well as take photos. Below is a video sample of a property we filmed recently in KZN. please watch the above video to give you a good idea how a property video is filmed. The property takes roughly 30 minutes to film. Photos and video are taken at the same time from the exterior working our way through the property to the bedroom. Make sure you have fully charged batteries and a SD card. Complete videos should be roughly 2 minutes. Have 30 usable photos by the time you done. Photograph wide angle shots of the rooms. Switch on lights and put down toilet seats. There is no need to clean rooms or pick stuff up, its not for you to neaten a property. You are there to film and photograph. Communicate with the estate agent. There will be dos and donts you need to know. 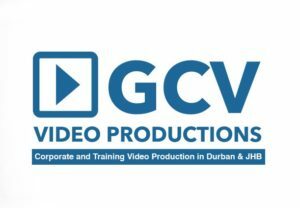 For more information regarding video production please call us on 0721281823 or www.gcv.co.za, contact Guy Crosbie.